Pepperjam are an affiliate marketing company that gives advertisers the resources and confidence to connect with publishers to help promote their brand and drive quality traffic to their site. With innovative technology platforms and services, decades of commerce expertise, Pepperjam are able to connect up performance marketing campaigns into straightforward data that’s easy to understand. Through performance based marketing Pepperjam aim to provide clients with end to end customer acquisition solutions that help advertisers take their ROI to new heights. SaleCycle and Pepperjam can work together to give advertisers the opportunity to integrate remarketing campaigns within their marketing strategy to help drive conversions. Our partnership with Pepperjam makes it super fast and easy to deploy the SaleCycle tag on clients’ site. 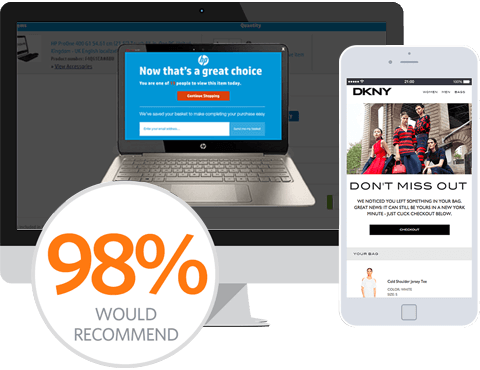 As a result, this speeds up the implementation process meaning clients can be up and running with SaleCycle’s remarketing solutions even more quickly than usual. As SaleCycle have an integration with Pepperjam, clients are able to see all performance marketing data including SaleCycle’s data on one easy to use platform. Our dedicated client managers continually communicate with Pepperjam’s affiliate managers to ensure campaigns are consistently innovative and up to date, seamlessly fitting in with the overall marketing strategy. Speedy implementation without the need for developer help. All performance data can be accessed in the Pepperjam dashboard.